Sweet potatoes are known to help stomach ulcers and inflamed conditions of the colon. Sweet potatoes appear to play a part in preventing cancer in certain organs and glands due to its high Vitamin A content. Due to the high content of Vitamins A and C, sweet potatoes help remove free radicals which damage cells. Sweet potatoes are great for people with diabetes because they help stabilize blood sugar levels. Squash & Pumpkin. These two foods are closely related, and actually come from the same family of vegetables, known as squash. They’re loaded with fiber as well as beta-carotene. The squash family of vegetables is great at fighting off cancer, especially lung cancer, reducing the risk of heart disease and aiding in fighting against type-2 diabetes. Pumpkins specifically are great for urinary tract support and aid in the function of the kidneys. Years ago, pumpkin seed oil was even used to treat burns and wounds. While cooking foods typically removes some of their nutrients, this isn’t so with carrots. Lightly cooking them actually helps to release the carotenes, which are otherwise trapped. Mangoes are high in iron and help fight against anemia and reduce kidney problems, fever, and respiratory problems. They can even relieve clogged pores of the skin. Because of the vitamins and antioxidants in an orange,they’ve been proven to help with asthma, bronchitis, pneumonia, prevention of kidney stones, high blood pressure, arthritis and diabetes. 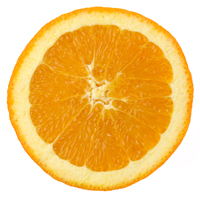 Oranges eaten in larger amounts can even decrease a runny nose. The one thing papaya has been known for around the world is its ability to prevent nausea, including morning and motion sickness if taken in the juice form.